With a convenient location within a short distance of Sarasota Memorial Hospital and Southside Village and just minutes from downtown Sarasota and area beaches, this Arlington Park neighborhood home captures the feel of 8216;Old Florida 8217; with the latest, up-to-date features. Built in 1949, this 3-bedroom, 2-bath home has original and restored wood floors and cypress wood walls. Updates and remodeling have taken place over the years, including a new roof in 2016. Enjoy the wood-burning fireplace in the large living room. Entertaining 8217;s a pleasure in the spacious dining room. The updated kitchen has slate tile floors, maple raised-panel cabinets and stainless steel appliances and includes a separate breakfast area. An original porch was enclosed to make a cozy family room with slate floors. The en-suite master bedroom has built-in bookcases and a walk-in cedar closet. Each of the two guest bedrooms have original wood built-ins that add to the character of the home. Both bathrooms have been cleverly renovated and add a contemporary update to this classic home. The backyard patio is surrounded with low maintenance, Florida-friendly landscaping, including habitats for butterflies and birds. A few blocks away is the popular Arlington Park, which features an Olympic-sized pool, basketball & tennis courts, playground, picnic area, walking & jogging trails, an indoor weight room and a dog park. Don 8217;t miss this opportunity! Please, send me more information on this property: MLS# A4432760 – $350,000 – 2070 Hyde Park St, Sarasota, FL 34239. 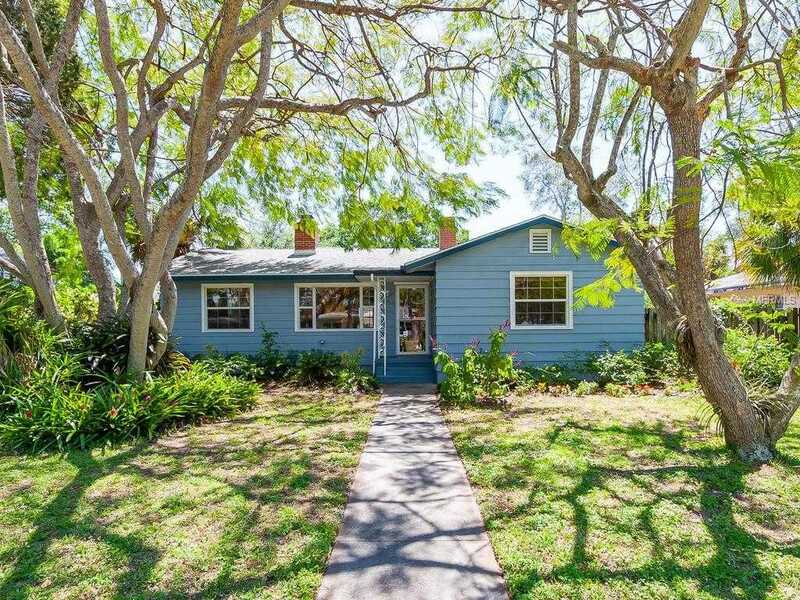 I would like to schedule a showing appointment for this property: MLS# A4432760 – $350,000 – 2070 Hyde Park St, Sarasota, FL 34239.